I know, I know. It seems like every time I post one of these lately, I'm looking forward to posting more often. But then I get swept away by the rhythm of life and it takes me another month to get one done. Hopefully the suspense isn't killing anyone out there! Once again, we've been babysitting the little house out in the French countryside this summer, so I thought it would be fun to venture into some of the neighboring towns to do some painting. 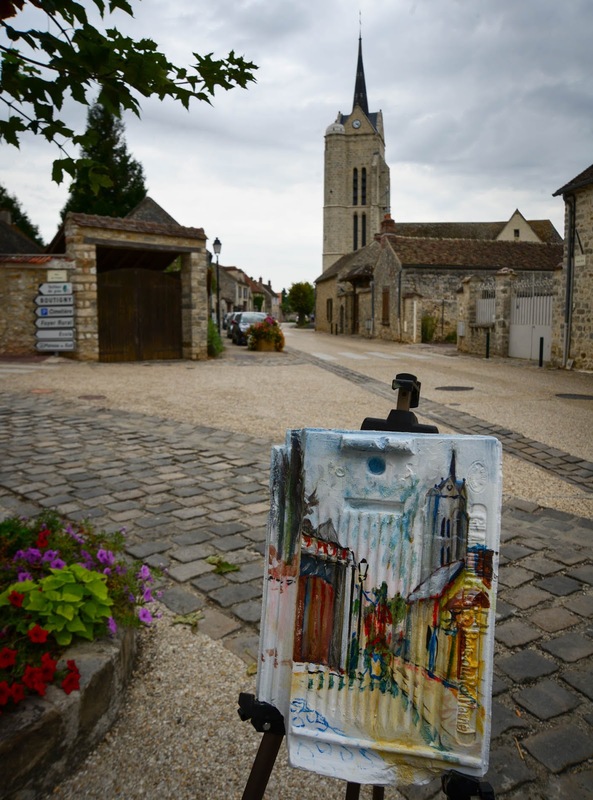 Last year, I did paintings here in the village of Courances and in Milly-la-Forêt, the bigger town nearby. This time I went just beyond the hedges and did one in the next-door town of Moigny-sur-École. 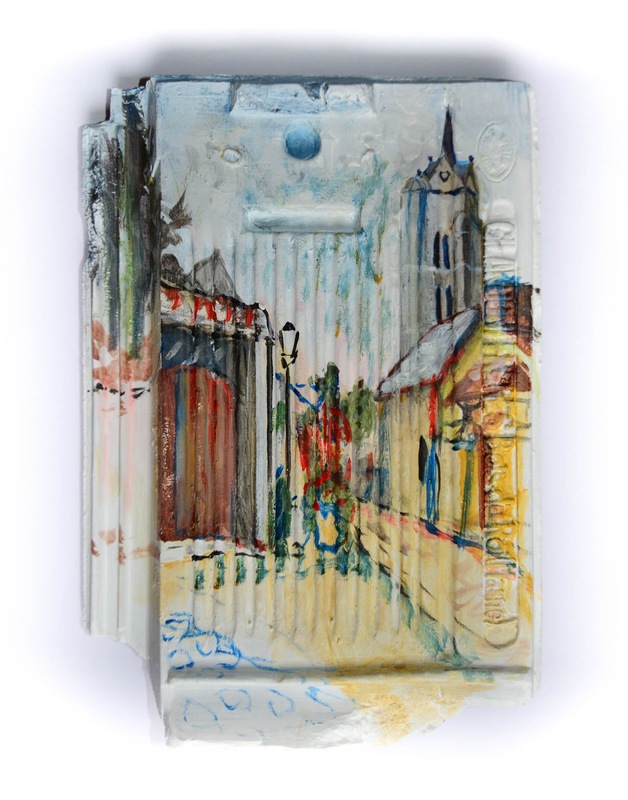 I found this broken-off slate of terracotta roofing that seemed to need a new purpose in life and I painted this view of the Grand Rue onto it. I hope somebody in town finds and enjoys it! I don't know if I'll be able to do another one while I'm out here, but as always, I'll be hoping I get to do more of them soon. I'll be going back to Paris next week. I'm sure there must be a neighborhood there that I haven't gotten to yet! If you have any suggestions, please feel free to let me know in the comments. This painting, acrylic on found terracotta roof slate, 22cm x 32cm, was left on the Grande Rue, in Moigny-sur-École, France on August 20th, 2015 at 3pm. I think it's cool that you found a terra cotta shingle out there! I hope somebody finds the painting :).